Think before you eat! 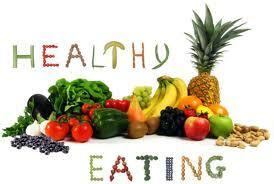 It is wise to know what you are putting in your mouth if you want to attain complete health and wellbeing. Mouth is the prime source of what you are taking in your system. Today our food is excessive of chemicals, artificial flavors and colors, pesticides, insecticides and other additives. It is even hard to get healthy food for the kids in the superstores. The amount of toxic substances in the foods is hardly avoidable. According to a post in Time magazine, 93% of us have BPA in our blood and no matter what we are taking in our mouth, chemical presence is ubiquitous. If you are serious about getting your family a diet that does not drain the body out of all the good stuff, then here are some simple changes you should be making to take on healthier food stocks. You cannot control the harmful effects of all the bacteria and other pollutants present in the air. However, you can always limit the ways through which your family can get exposed to them. The easiest way it to take care of the diet, and here are some ways through which you can achieve that. Although you cannot control the amount of pesticides in the foods, but you can always pick out the best food from the marts. Wash off the all the fresh food items from the markets before you eat them. You also take in all organic meal replacement shake, Shakeology, if you want to give your body the best. Shakeology is made up of 70 organic ingredients that are high in fiber and low in fructose. The shake is best to add to the health of whole family and there is no harm in taking it, however you cannot substitute the health benefits of fresh foods with Shakeology. Over 90% of American homes have microwave ovens used for meal preparation. However, people do not realize the harms caused through the microwaves. Microwaves emit radioactive waves that are used in heating the foods. Although it is different from the “radioactive treatment”, but the frictional heat of the microwaves result in the decrease in the hemoglobin levels according to studies. It is necessary that you should cleanse your body of the toxic waste materials from time to attain optimal health. Take on the healthy cleansers, which offer the best techniques to help body take the best form the foods and avoid the negatives. With the help of 21-day Ultimate Reset Cleanse complete detoxification program, nourish your body and keep you away from all the possible health conditions. If you really want to keep a healthy system then it is necessary that you plan your eating habits around the tips mentioned above. It is therefore important that you should modify your eating habits sooner, and avoid the health hazards and other infections caused by the external factors.